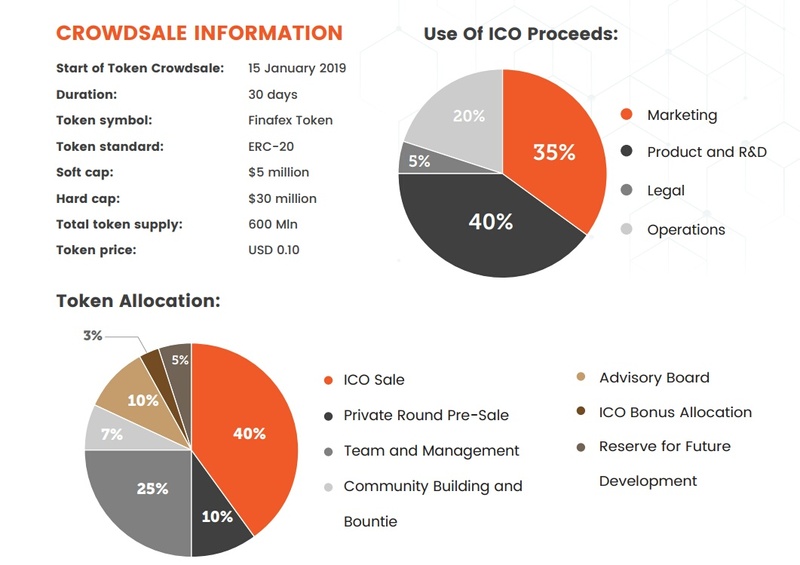 Finafex is a modern-age crypto asset exchange aiming to enhance crypto adoption through the provision of seamless crypto exchange and trading. It is a fully regulated entity backed by the Capital Investment Bank (Labuan) Ltd (CIBL), an Investment Bank licensed under the purview of the Labuan Offshore Financial Services Authority (LOFSA). 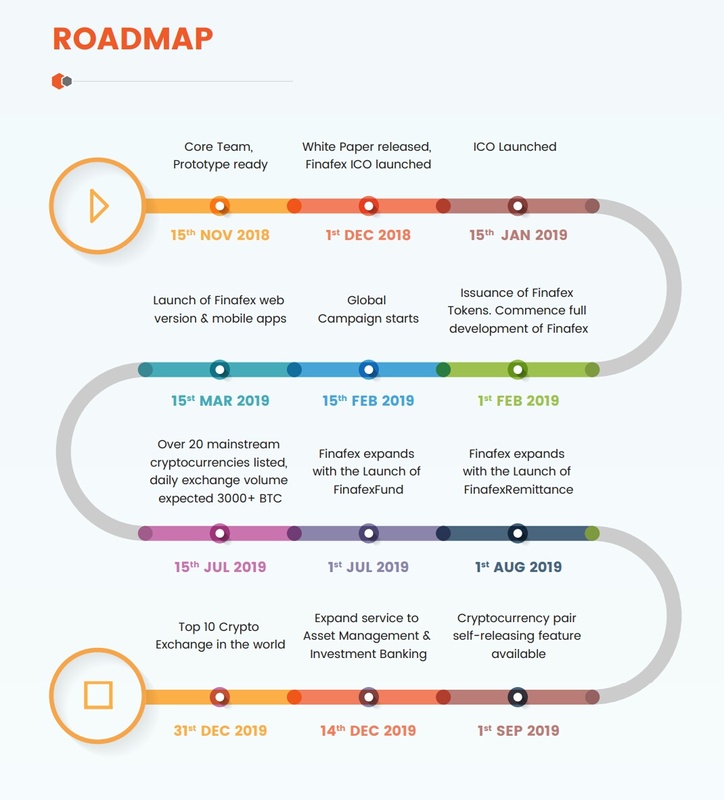 Finafex aims to be the dominant cryptocurrency trading platform for South East Asia by virtue of location, accessibility, usability, its cutting-edge technology, innovative tools and trading packages, delivering all in a regulated and legally sound environment. This way, we are aiming to attract millions of users who previously lacked access to crypto assets and thus benefiting the entire crypto-economy. Countless inactive coins with empty order books, and difficulty in conversion to fiat. Hacking and scams led to monetory losses for traders. Dependency on external banks and third party exchangers result in extra fee and intermediary deductions. Lack of regulated structure and governmental restriction may cause exchange ban. Continuous effort by Finafex's strong team to ensure trading liquidity, cybersecurity, seamless user experience and international market traction. Only selective coins with significant community backing and potential impact to be listed will ensure liquidity. Trading Limit, Market, Stop/Stop-Limit and Trailing stop-loss. Hedging services against securities, bonds and future market. Different services for different user segment. E-Wallet highest standards security. End to end payment & remittance solution. Lucrative Referral Offerings. Digital and roadshow campaign. Collaborative partnership with other exchanges. We envision a fully transparent, regulated crypto trading platform that solves the issues faced by traditional crypto exchanges and in turn enhance the process of crypto adoption by attracting millions of users who previously lacked access to a regulated, secure and fully transparent exchange. We aim to be the industry leader in facilitating crypto asset trading across the world by serving as the first-ever fully regulated exchange with a bank level security and liquidity, and in doing so resolve the issues faced by crypto traders, while also meeting the needs and demands inherent in the fintech industry. Finafex stands out among its competitors because of its experienced management, continuously embedded innovativeness, foolproof security, a clever marketing strategy, up keeping highest standards of governance and providing the best services to its customers.